Once the estimate is ready, it can be deliver it directly to the potential client via email from the system. Only Admin has the authority to create and send project estimates. 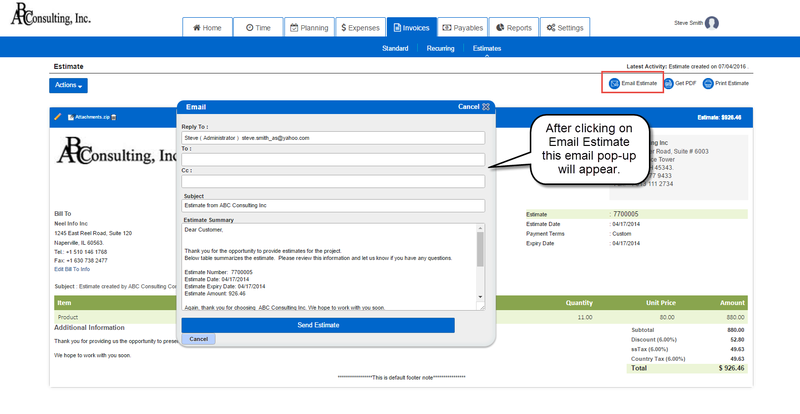 4] Click on the Email Estimate option. An email message box will pop up. 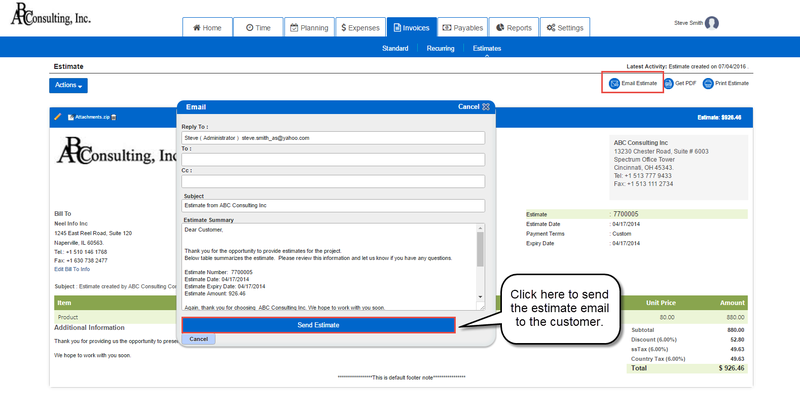 5] Select the accurate recipients and fill in the other details like Subject, Message etc. Click on Send Estimate. An email with the estimate details will be sent to the prospect.